Chilled water and condenser water piping systems are part of a large building cooling system for the chiller and cooling tower. Cooling piping systems are also used in process piping, in industries where there are temperature and purity considerations. The piping systems are used to transport water and other liquids. Sometimes the cooling piping can be of stainless steel, copper or even black iron. Select Plumbing is the most reputable manufacturer and supplier of high quality cooling piping systems in Toronto. We have a different product line which gives best solutions for industrial and commercial applications. 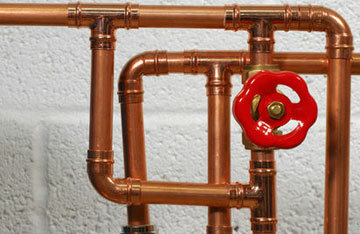 At Select Plumbing, we offer a comprehensive range of piping systems and equipment. Strong and highly durable materials are used in the fabrication of cooling pipes. Different kinds of pipe fittings, valves, joints and other such products are also delivered. All the installations are flexible and fabricated to fulfill the requirements of clients. The expert plumbers at Select Plumbing and Heating have performed countless cooling piping installations across the Toronto area at a variety of commercial and industrial facilities. The experts have extensive training and experience in delivering quality solutions to the clients. They try to deliver efficient solutions that give you the best value of your invested money. In the long run, the cooling piping systems may fail. The need of the hour is to contact some reliable service provider. One such ideal pick is Select Plumbing in Toronto. The experts make efforts to inspect the internal components and figure out the defects to restore them to good condition. It is essential to hire reliable professional service to ensure good functioning of the cooling piping system. Our well-trained technicians strive to reduce loss to life and property. To learn more about how Select Plumbing can help you with your cooling piping installation or repair, call us today at 1 888 501 5501 or 905 501 5501.